Tucson, AZ, May 17, 2018: Whirlpool Corporation announced today the recipients of “Excellence in Service” Awards for their national Whirlpool Factory Certified Care service network at their annual convention in Tucson, Arizona. 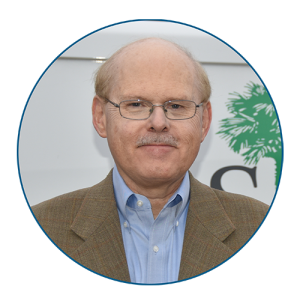 For the second year in a row Sloan Appliance Service in Cayce, S.C. was one of the service providers receiving this prestigious national award. This national award was based on performance achievement in areas focused on customer satisfaction of Whirlpool customers during the service process. Fred Holbrook, owner of Sloan Appliance, was presented this award from Buck Renteria, Director of Factory Service at Whirlpool. 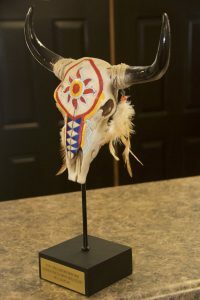 The award was produced in a style reminiscent of the Indian artifacts found in the Tucson area. 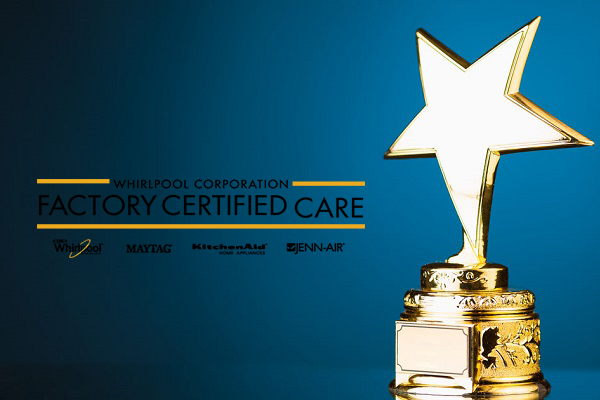 It is a Whirlpool tradition to use local talent to design memorable and unique awards associated with the Whirlpool Factory Care Conference Site. Since 1958, Sloan Appliance Service, has serviced your home appliances. All Appliance Repair Technicians are factory certified and are updated weekly on the latest appliance and service news. These factory partnerships allow quick resolution of tough, service related issues. Sloan Appliance is the largest appliance service company in the Midlands. They are also the exclusive repair and parts resource for many premium brands of appliances.